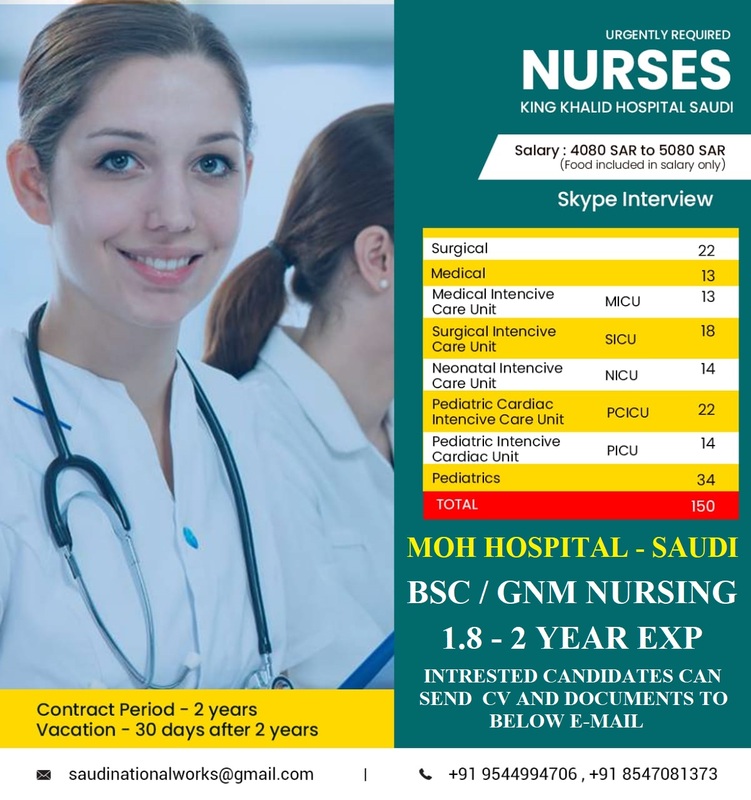 URGENTLY REQUIRED NURSES TO KING KHALID MOH HOSPITAL - SAUDI. INTERESTED AND ELIGIBLE CANDIDATES CAN APPLY . MORE DETAILS GIVEN BELOW. INTERESTED CANDIDATES CAN SEND YOUR CV AND DOCUMENTS TO BELOW EMAIL AND FOR MORE INFO CONTACT IN GIVEN NUMBERS BELOW.